With a full complement of ornate cosmetic details, the Gibson Hummingbird was Gibson's second most expensive production acoustic when it premiered in 1960. 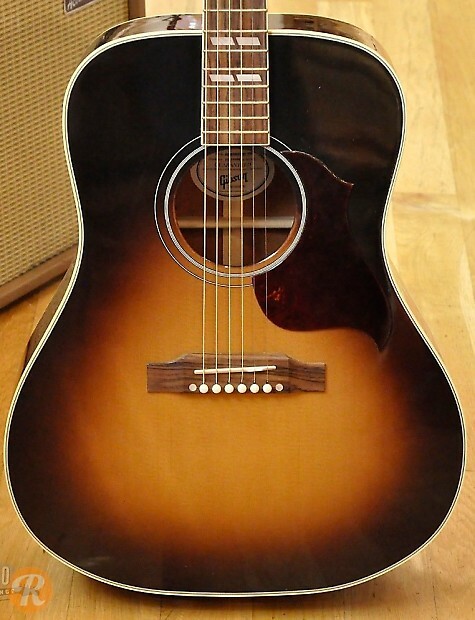 The Hummingbird deviated from older Gibson dreadnoughts designs in its use of square shoulders instead of the rounded shoulders found on models like the J-45. Largely due to its striking visual flair, the Hummingbird remains one of Gibson's most iconic acoustics. The Hummingbird Pro is handcrafted in the Bozeman, Montana shop to pay tribute to the original icon while acting as a high-quality workhorse.